FRAMINGHAM, Mass.--(BUSINESS WIRE)--Jun. 29, 2016-- Staples brings new accessories to the 2016 back-to-school season with designs from leading American fashion designer, Cynthia Rowley. 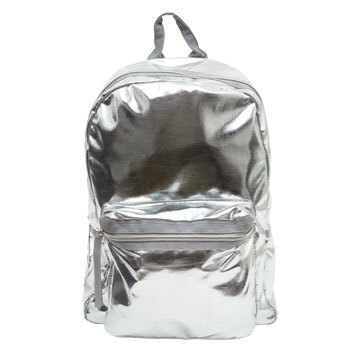 Arriving in Staples’ stores nationwide and on Staples.com in July, the exclusive Cynthia Rowley Collection features must-haves ranging from backpacks to binders to ballpoint pens. Prominent colors in the collection are gold and silver metallic, navy/pink stripes and Cynthia Rowley’s bold Cosmic Floral design in black and white. “Students are always looking for new accessories to express their style so the bright, chic Cynthia Rowley metallic finishes and bold stripes are eye-catching and sure to become student favorites,” said Liz Haesler, senior vice president and general manager merchandising, Staples. “You never know where your next source of inspiration will come from. I draw inspiration everywhere whether it’s from something in my design studio or while I’m vacationing with my hubby and kids. I love unique accessories- these fun patterns and metallic add a little flair to the daily routine.” said Cynthia Rowley.